Do you use LinkedIn Publisher? Want to get deeper engagement from your posts? LinkedIn Publisher now offers the ability to review stats for your published posts, which helps you refine messaging, target the right audience and directly engage with the people who interact with you. In this article I’ll share how to access LinkedIn Publisher statistics and how to use them strategically. 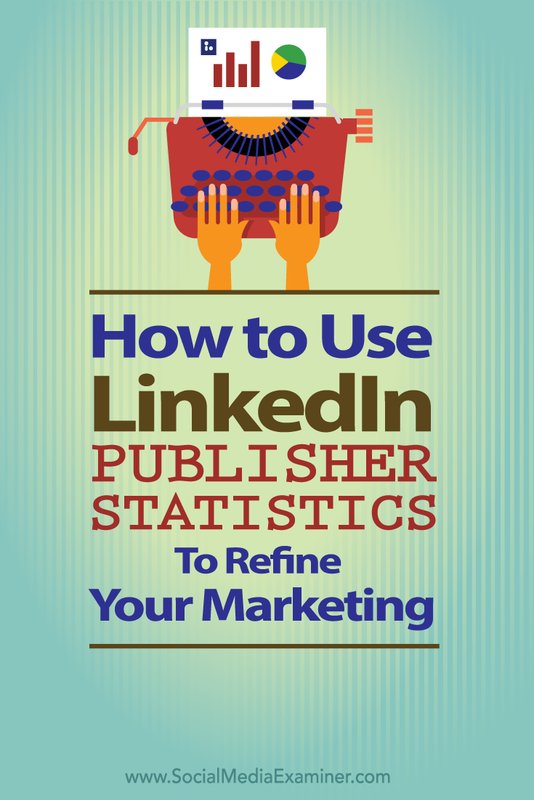 Discover how to use LinkedIn Publisher Statistics to refine your marketing. 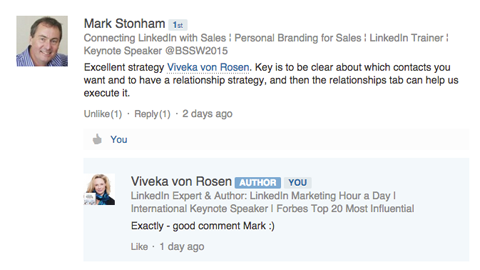 LinkedIn Publisher is a powerful platform because it’s sticky. Your posts live on forever on your profile, and the content is searchable. It’s good for positioning yourself as an expert in your industry and sharing relevant information with your followers. Your LinkedIn Publisher analytics show you how your content is doing, make sure it’s reaching the right people and help you connect with those who are responding to your posts. It’s great for content development and lead generation. You can access your LinkedIn statistics in a couple of places: on your profile just above your posts and on your author page (the URL that’s associated with the page where your posts are listed). Click on See More, and then select a post to see its statistics. Select a post to see its stats. The three sections of analytics are See How Your Post Is Doing, Demographics of Your Readers and Who Is Responding to Your Posts. Here’s a look at how to use each section to create more powerful content and increase visibility. Go to the See How Your Post Is Doing section to discover if your posts are getting views. You can see your posts’ visibility for the last 7 days, 15 days, 30 days, 6 months and 1 year. This analytics section also lets you view how many likes, shares and comments a particular post has received, as shown in the upper-right corner of the image below. View your posts’ visibility for the last 7 days, 15 days, 30 days, 6 months and 1 year. After you publish a post, keep a close eye on the activity for the first week. Often visibility increases on the second, third and fourth day. Therefore, if you’re writing a post that has a specific timeline (perhaps it relates to a project, product or webinar release), make sure you post it a day or two before you need people to see it. Also, try posting on different days of the week and see if your results change. John White, a successful LinkedIn published writer, recommends posting at about 8 p.m. Eastern Time. Not only is this a good time to get views in Europe, but it’s also not too late for U.S. time zones to see your content. It’s interesting to look at the long-term view also to see if there’s some correlation between trending events and the visibility of your post. For example, if your post on the latest Apple products gets a lot of traffic, you may want to write posts whenever Apple releases new products. Build on any increased reach by resharing a popular post as an update on Facebook, LinkedIn and Twitter. 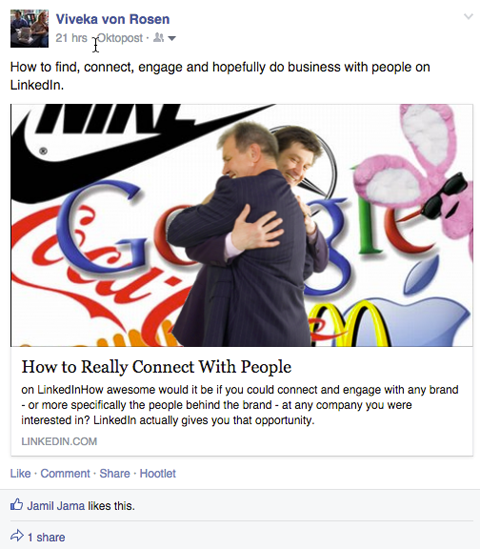 Reshare your LinkedIn content on other social networks to increase visibility. If you like to keep a close eye on your metrics, see if there’s a correlation between reshares and LinkedIn views. Scroll down the page to see the demographics of your readers. LinkedIn shows you reader demographics related to the top four industries, titles, locations and traffic sources. Use the first three demographics (industries, titles and locations) to make sure you’re attracting the right audience with your content. For example, if your niche demographic is marketing and advertising executives, but your content is attracting job-seekers in software design, you’re probably using the wrong keywords and content. Also check to see what other people in your field are writing about to attract the correct audience. Then reframe your content so it targets the right demographics. You can always use LinkedIn Pulse to research what other people in your industry are writing about. 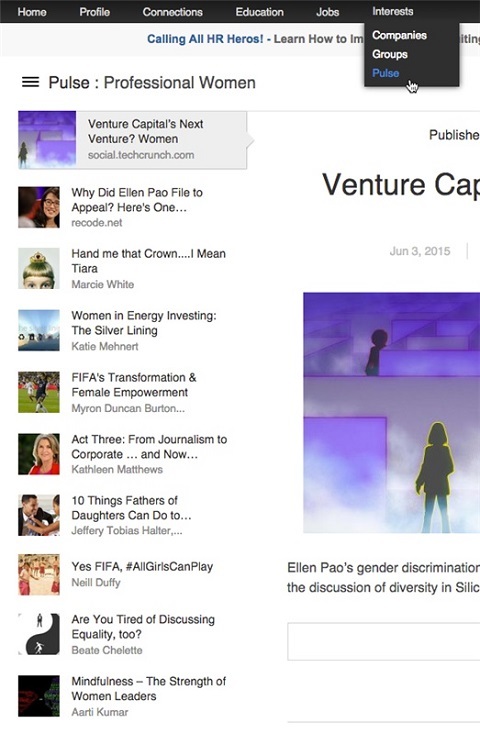 Use LinkedIn Pulse to explore what topics other people in your industry cover. As far as traffic sources are concerned, it might surprise you to find out how people get to your posts. If your posts are showing up on users’ home pages, they’re getting the equivalent of a Facebook news feed. If the traffic source is from LinkedIn.com, you’re showing up in Pulse or your audience found you with a search. If the traffic source is from your LinkedIn profile, the reader looked you up. If the traffic source is from Google, your article is coming up in Google search results. It’s always good to know how people are finding you. The Who Is Responding to Your Posts section tells you the people who have liked, commented on and shared your post. Clearly comments and shares are the more relevant data. 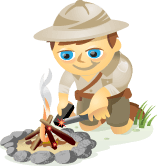 See who likes, comments on and shares your posts. Look through this section to view the people who engaged with your content, and respond to them. Reply to people who comment on and share your posts. This section shows you the name of the person and their headline. You can click and respond to a first-degree connection. If the person is not already in your immediate network, invite him or her to connect. The Who Is Responding to Your Posts section is also great for lead generation. Someone who took the time and made the effort to engage with your post in some way is likely to respond when you connect. It warms up the lead. Make it a daily practice to briefly go through the engagement from your LinkedIn Publisher posts. Take the time to thank, respond to or fully engage with your audience in a private message. It’s a great way to have one-on-one communications with people who are invested in your content. Publish on LinkedIn to get your voice heard and your business seen by a variety of potential clients. LinkedIn Publisher statistics allow you to see how your content is being received so you can adjust your strategy if necessary. Use that information to create more directed, relevant content that helps you engage more fully with your network and increase exposure. What do you think? Have you looked at your LinkedIn Publisher statistics? In what ways do you use the info you gather to improve your posts and reach? Please share your thoughts and recommendations in the comments. 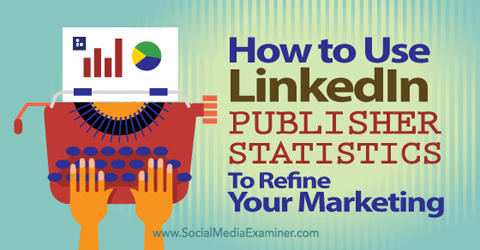 Tips for using LinkedIn Publisher Statistics to refine your marketing.